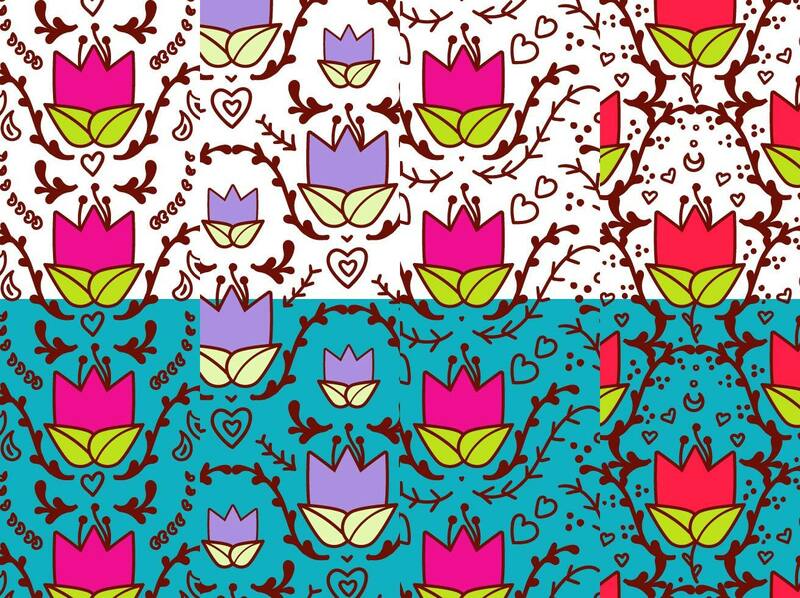 A cute set of floral patterns perfect for backgrounds and print media. Easily editable. AI and EPS included.